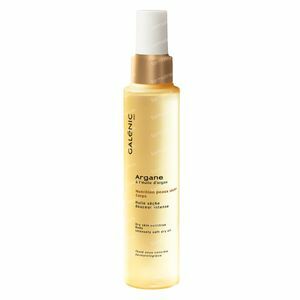 Galénic Argane Body Oil 125 ml order online. Delicate and non-greasy Intensely Soft Body Dry Oil enhances the beauty of dry skin. It can also be applied to dry hair. Wrap your body in a veil of softness. ETHYLHEXYL PALMITATE. PROPYLENE GLYCOL. DICAPRYLATE/DICAPRATE. CYCLOMETHICONE. MINERAL OIL (PARAFFINUM LIQUIDUM). CAPRYLIC/CAPRIC TRIGLYCERIDE. ARGANIA SPINOSA KERNEL OIL. ALPHA-ISOMETHYLIONONE. AMYL CINNAMAL. BENZYL SALICYLATE. BETA-SITOSTEROL. BHT. BUTYLPHENYL METHYLPROPIONAL. CITRONELLOL. FRAGRANCE (PARFUM). HEXYL CINNAMAL. HYDROXYISOHEXYL 3-CYCLOHEXENE CARBOXALDEHYDE. LIMONENE. LINALOOL. TOCOPHEROL. TOCOPHERYL ACETATE. 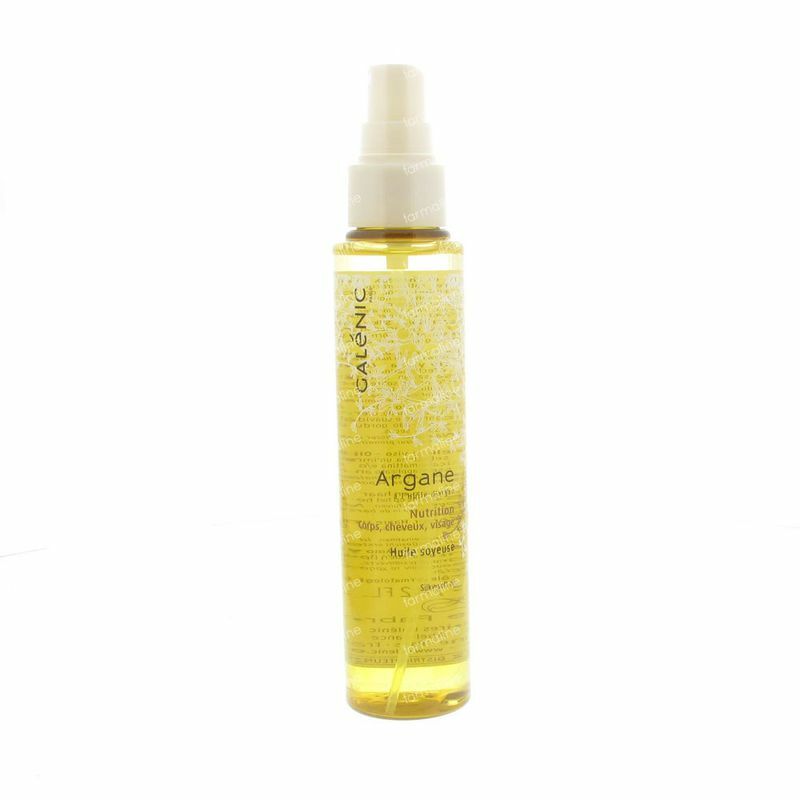 A very pleasant to use body oil that easily transforms into a luxury treatment when applied to the skin. It's very fine and nourishing that helps to instantly take care of my dry skin, completely negates the dryness and doesn't feel sticky like some other body oils do. The fragrance is very delicate, light and pleasant. My skin feels smoother, more elastic and all round better. I apply this after bathing or showering, it hydrates just perfectly.